Please note that there has been an update to the overall tutorial pipeline, which is discussed in full here. This text assumes that Caffe is already installed and running. For guidance on that you can reference this blog post which describes how to install it in an HPC environment (and can easily be adopted for local linux distributions). Nuclei segmentation is an important problem for two critical reasons: (a) there is evidence that the configuration of nuclei is correlated with outcome , and (b) nuclear morphology is a key component in most cancer grading schemes ,. A recent review of nuclei segmentation literature  shows that detecting these nuclei tends not to be extremely challenging, but accurately finding their borders and/or dividing overlapping nuclei is the current challenge. The overlap resolution techniques are typically applied as post-processing on segmentation outputs, and thus outside of the scope of this tutorial. 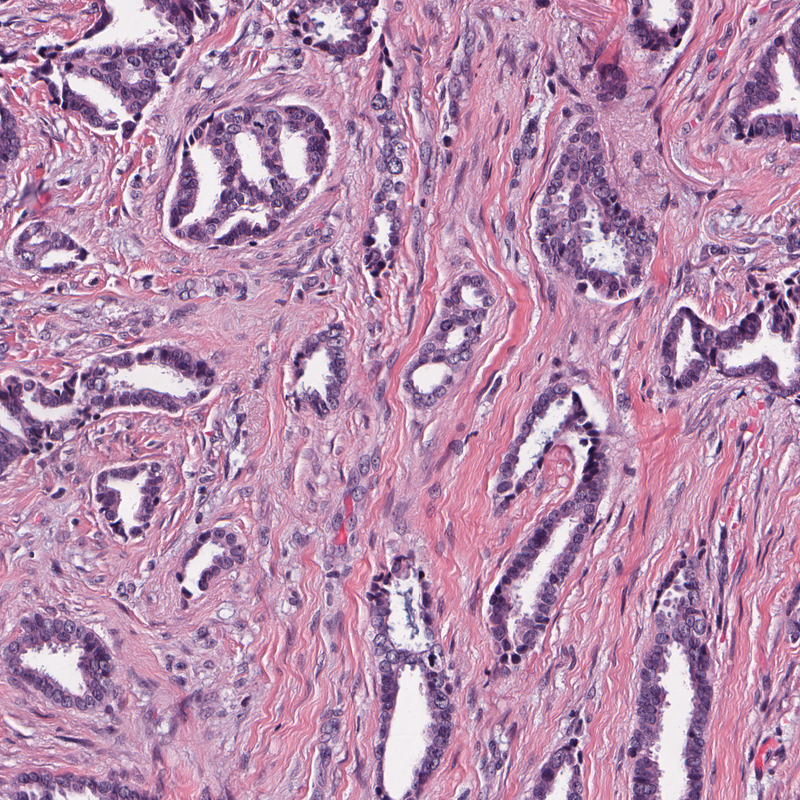 We have specifically chosen to look at the problem of detecting nuclei within H&E stained estrogen receptor positive (ER+) breast cancer images. Breast cancer nuclei are, in my opinion, the most challenging to work with because of their large variances in appearance as compared to other organs. 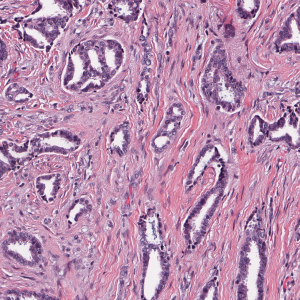 For example, the area of a breast cancer nucleus can vary by over 200% and have notable differences in texture, morphology, and stain absorption. These differences imply that developing a single hand-crafted approach that works well across all cases is challenging. We find that on our dataset we can obtain f-scores in the range of ~.83, without any post-processing, making this DL approach comparable to sophisticated handcrafted approaches. Step 3: Database Creation (Bash): using the patches and training lists created in the previous steps, create 5 sets of leveldb training and testing databases, with mean files, for high performance DL training. Step 4: Training of DL classifier (Bash): Slightly alter the 2 prototxt files used by Caffe, the solver and the architecture to point to the correct file locations. Use these to train the classifier. There are, of course, other ways of implementing a pipeline like this (e.g., use Matlab to directly create a leveldb, or skip the leveldb entirely, and use the images directly for training) . I’ve found using the above pipeline fits easiest into the tools that are available inside of Caffe and Matlab, and thus requires the less maintenance and reduces complexity for less experienced users. If you have a suggested improvement, I’d love to hear it! Each image is prefaced by a code (e.g., “12750”) to the left of the first underscore (_), which coincides with a unique patient number. A few patients have more than 1 image associated with them (137 patients vs 143 images), so make sure to split them into training and testing sets at the patient level, not the image level. 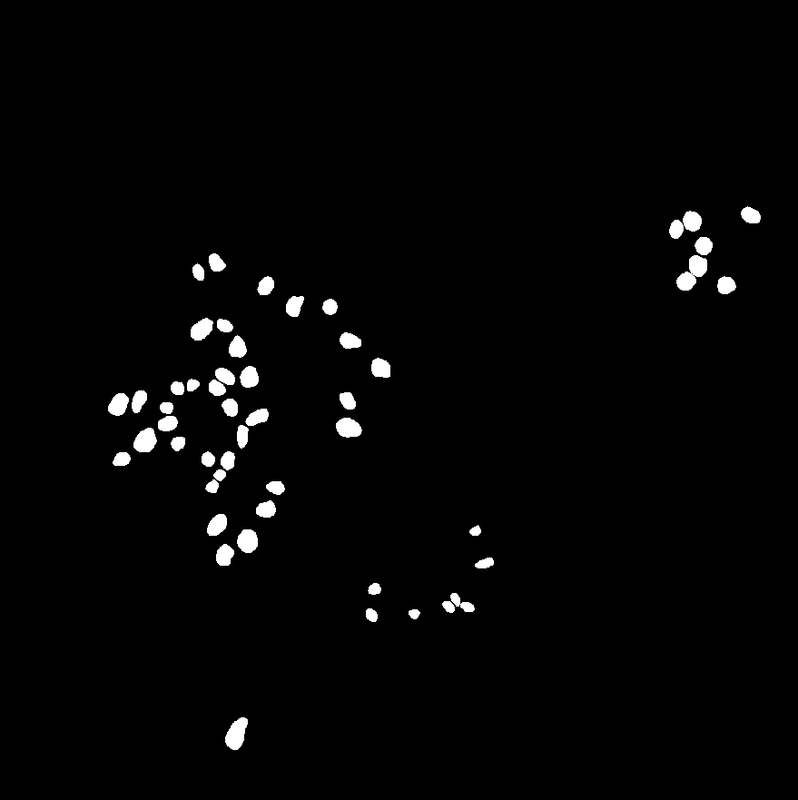 The data and the associated masks are located here (1.5G). We refer to step1_make_patches.m, which is fully commented. Break the images into groups by patient ID number. Where u is the patient ID, v is the image number of the patient, w is the class (0 (non nuclei) or 1 (nuclei)), x is the type of patch (“e” is edge, “b” is background (i.e., stroma), “p” is positive), y is the number of the patch (1 to 2500), and z is rotation (0 or 90 in this case). From each of these, randomly crop patches, save them to disk. At the same time, we maintain a “patient_struct”, which contains all of the file names which have been written to disk. Now that we have all of the patches written to disk, and we have all of the file names saved into patient_struct, we want to split them into a cross fold validation scheme. We use step2_make_training_lists.m for this, which is fully commented. In this code, we use a 5-fold validation, which is split at the patient level. Again, remember splitting at the image level is unacceptable if multiple images can come from the same patient! All done with the Matlab component! Now that we have both the patches saved to disk, and training and testing lists split into a 5-fold validation cohort, we need to get the data ready for consumption by Caffe. It is possible, at this point, to use an Image layer in Caffe and skip this step, but it comes with 2 caveats, (a) you need to make your own mean-file and ensure it is in the correct format and (b) an image layer can is not designed for high throughput. Also, having 100k+ files in a single directory can bring the system to its knees in many cases (for example, “ls”, “rm”, etc), so it’s a bit more handy to compress them all in to 10 databases (1 training and 1 testing for 5 folds), and use Caffe’s tool to compute the mean-file. We run it in the “subs” directory (“./” in these commands), which contains all of the patches. As well, we assume the training lists are in “../”, the directory above it. Here we’ll briefly discuss the general idea of the commands, while the script has additional functionality (computes everything in parallel for example). We specify that we want to use a leveldb backend instead of a lmdb backend. My experiments have shown that leveldb can actually compress data much better without the consequence of a large amount of computational overhead, so we choose to use it. Then we supply the directory with the patches, supply the training list, and tell it where to save the database. We do this similarly for the test set. 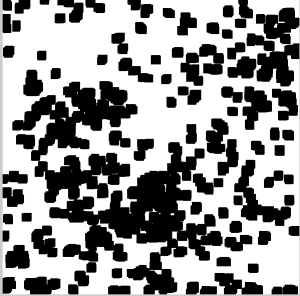 To zero the data, we compute mean file, which is the mean value of a pixel as seen through all the patches of the training set. During training/testing time, this mean value is subtracted from the pixel to roughly “zero” the data, improving the efficiency of the DL algorithm. Supply it the name of the database to use, the mean filename to use as output and specify that we used a leveldb backend. That’s it! Now that we have the databases, and the associated mean-files, we can use Caffe to train a model. BASE-alexnet_solver.prototxt: This file describes various learning parameters (iterations, learning method (Adagrad) etc). On lines 1 and 10 change: “%(kfoldi)d” to be the number of the fold for training (1,2,3,4,5). BASE-alexnet_traing_32w_db.prototxt: This file defines the architecture. We only need to change lines 8, 12, 24, and 28 to point to the correct fold (again, replace “%(kfoldi)d” with the desired integer). That’s it! Note, these files assume that the prototxts are stored in a directory called ./model and that the DB files and mean files are stored in the directory above (../). You can of course use absolute file path names when in doubt. In our case, we had access to a high performance computing cluster, so we used a python script (step4_submit_jobs.py) to submit all 5 folds to be trained at the same time. This script automatically does all of the above work, but you need to provide the working directory on line 11. I use this (BASE-qsub.pbs) PBS script to request resources from our Torque scheduler, which is easily adaptable to other HPC environments. In the directory which has the prototxt files. That’s it! 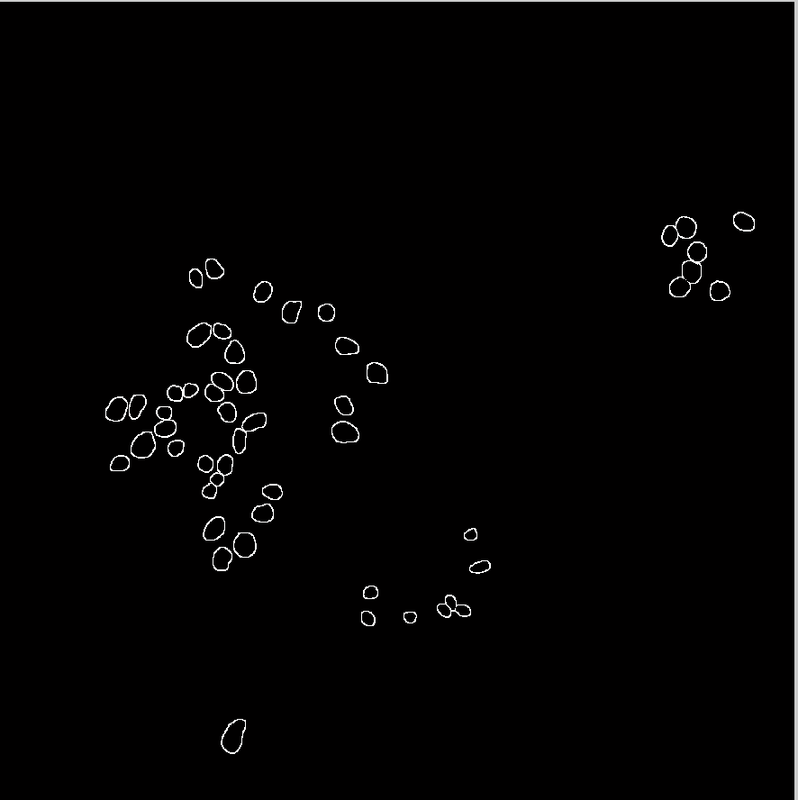 Now wait until it finishes (600,000) iterations. At this point, you should have a model available, to generate some output images. Don’t worry, if you don’t, you can use mine. Here is a python script, to generate the test output for the associated k-fold (step5_create_output_images_kfold.py). It takes 2 command line arguments, base directory and the fold. It generates 2 output images for each input. A “_class” image and a “_prob” image. The “_prob” image is a 3 channel image which contains the likelihood that a particular pixel belongs to the class. 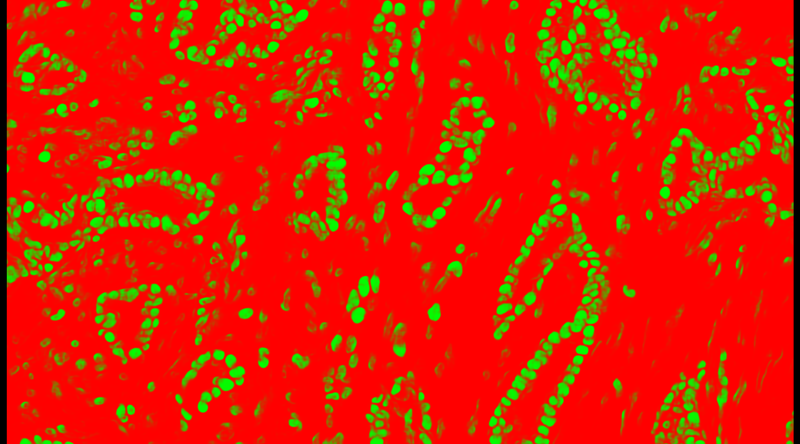 In this case, the Red channel represents the likliehood that a pixel belongs to the non-nuclei class, and the green channel represents the likelihood that a pixel belongs to the nuclei class. The two channels sum to 1. The “_class” image is a binary image using the argmax of the “_probs image”. Typically, you’ll want to use a validation set to determine an optimal threshold as it is often not .5 (which is equivalent to argmax). Subsequently, use this threshold on the the “_prob” image to generate a binary image. Writing a large number of small, individual files to a harddrive (even SSD) is likely going to take a very long time. Thus for Step 1 & Step 2, I typically employ a ram disk to drastically speed up the processes. Regardless, make sure Matlab does not have the output directory in its search path, otherwise it will likely crash (or come to a halt), while trying to update its internal list of available files. As well, using a Matlab Pool (matlabpool open), opens numerous workers which also greatly speed up the operation and is recommended as well. 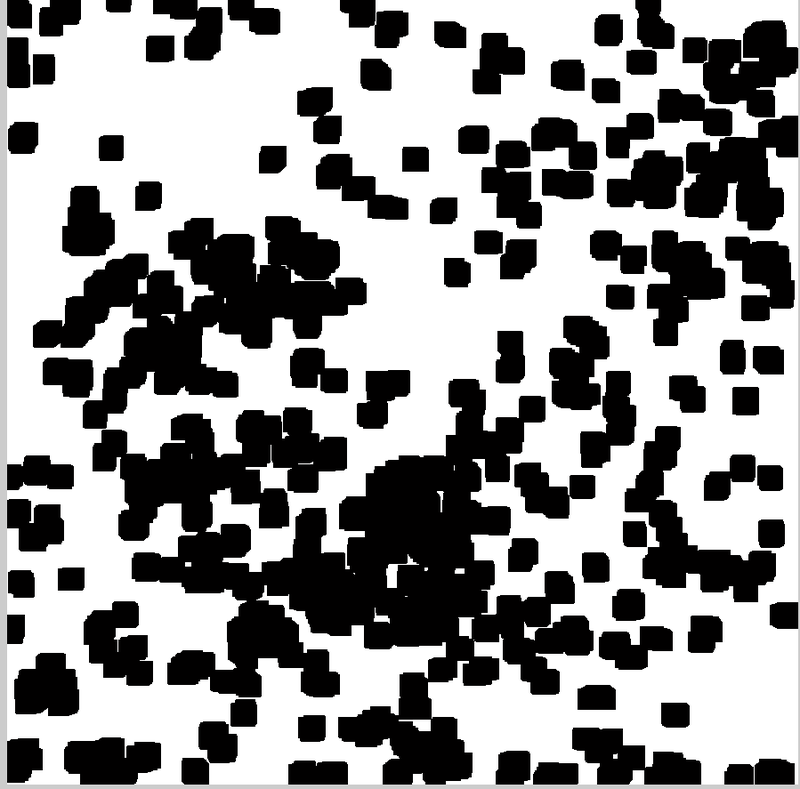 It most likely will take a long time to apply a the classifier pixel wise to an image to generate the output. In actuality, there are many ways to speed up this process. 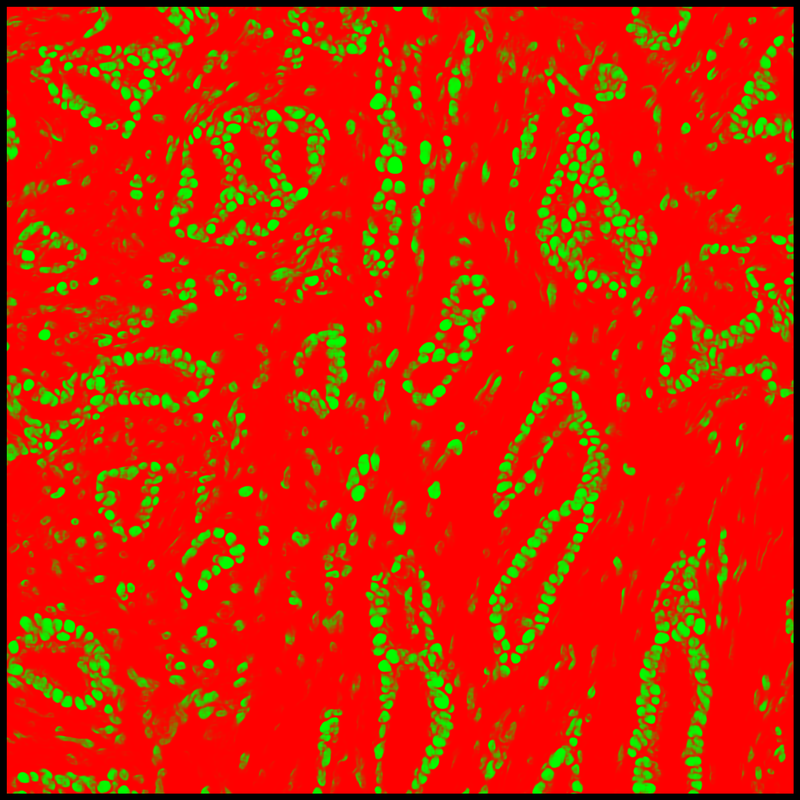 The easiest way is to identify pixels in the image which are very unlikely to belong to the nuclei class (for example, low absorption of hematoxylin dye as determined via color deconvolution) and exclude those from computation. Keep an eye out for future posts where we delve deeper into this and provide the code which we use! It is very important to use the model on images of the same magnification as the training magnification. This is to say, if your patches are extracted at 40x, then the test images need to be done at 40x as well. Quick question: if I wanted to try this tutorial out on my own data, would my images have to be of the same size and type as the images used here? Ie, 2000×2000 pixel images, one of the format PNG and one TIFF? The images I’d like to work with are 1024×1024 PNGs. Why are the nucleis not all annotated in one single image? Completely understandable that you couldn’t annotate all of the images- but how did you train without exhaustive GT? Since the images are not fully annotated, how to compute the F-score? I mean, it must have high false positive since an nuclei may not be annotated in the label image. Thanks for your response, I get it. Thanks for sharing your work. I’m just wondering why dividing folds on the patient level is so important. How much of a difference would it make if you pooled the patches together on the image level? I’m guessing patches from the same patient would validate higher, but would it be significant? Have you ever encountered a case where you have many images from a small number of patients? Thanks for your help and your hard work. it makes a *huge* difference! disease tend to present very similarly intra-patient and very different inter-patient, thus using the same patient in both the training and testing set is essentially like testing directly on the training set, leading to a very highly inflated accuracy that won’t be sustained when a new patient is presented to the system (since you haven’t trained on any of their patches). Hi. Why did you say you used AlexNet architecture in you paper while the network in the code is LeNet5? I am sorry but I just wanna make sure it is not a mistake I am understanding! However, I really wanna appreciate your effort in putting these information. I was new to histology and I got lots of information. Can I ask what is the reference of the dataset? Many thanks in advance for your replies. glad i could help, but what do you mean by “reference of the dataset”? I mean is the database from for example AMIDA13?? where is it from? Not just this one but the dataset used in other tasks. I tried to find the reference for the dataset used but did not find. Is it a private data set or what? Have you ever came across this error? Any help would be appreciated. Thank you! Are you sure you’ve used the correct binary model? this error “Cannot copy param 0 weights from layer ‘ip2’; shape mismatch. Source param shape is 2 64 (128); target param shape is 3 64 (192). To learn this layer’s parameters from scratch rather than copying from a saved net, rename the layer.” indicates that ip2, which is the final fully connected layer before the softmax, has a dimension of 2×64 which is suitable for a 2-class problem, while the expected value should be 3×64. In this case, the lymphoma use case contains 3 classes, so the model itself should be 3×64 not the 2×64 that its reporting. So either i’ve uploaded the wrong model, or you’ve downloaded the wrong model or you’re using an incorrect model definition. i’m now noticing that this is on the nuclei page, which is a 2 class problem, but the network you sent is designed for 3 classes? Thank you you are correct! I had downloaded the incorrect models. I have now downloaded the correct models and the code runs! I am unsure what the problem is. I have tried specifying a complete and a partial path but neither seems to work. I commented out the largest for loop in the code because I am only attempting to apply step5_ to one image. Any assistance would be appreciated. Thank you again! You’re great! Dan, where did you get the correct models? I’m struggling with a similar issue on the 7-lymphoma case. It doesn’t have the models/deploy_train32.prototxt file referenced in the code. I tried using common/deploy_train32.prototxt but that one has 2 outputs while this is a 3-class problem. The weights file is also a 3-class one, so I get the same “cannot copy param 0” error when loading the model. I tried changing the number of outputs to 3, and now I’m getting an error saying that the means shape is different from the input shape. Means shape is 3x36x36, while the input, as declared in the deploy file, is 10x3x32x32. Seems the model is expecting patches of a different size. if you change the # of outputs in the deploy file final layer from 2 to 3, and add a crop_size of 32 to the data layer, the approach should work because caffe will randomly crop the image to the appropriate size. you can read more about it here http://caffe.berkeleyvision.org/tutorial/data.html. the mean file in the lymphoma directory is 36 x 36 x 3. I am confused about the “scipy.misc” portion. Thanks! hello, can i ask some questions about step3_make_dbs.sh? But i am pretty sure this png files are in the directory subs file, because i used the find command to find these png files, and found them. i did not notice your reply, so i just comment the same question. sorry for that. yes,I know the script in inside of the subs directory and that was i did. Hi, I seem to be unable to download the dataset – the link (http://gleason.case.edu/webdata/jpi-dl-tutorial/nuclei.tgz) in the post appears to be down. Do you have a mirror for the data? Thanks! Hi Andrew, nice post. I had a question: how did you manually annotate the images? What changes do I need to make in the code for Step 5? I have all the outputs of Step 1-4 in their folders. But I’m not that familiar with python, so I’m confused as to what specific changes need to be made. Looks like we got it working now, thank you very much! I’m trying to run Step 5 directly from Python. Anyone else encounter this problem? How can I fix this? thanks for your guidance. it takes 6 hours for each test image. how can I just do the training one time? thanks for your guidance.I just want to run nuclei segmentation code. I have run this code but it takes 6 hours to get result for each test image. how can I save trained model and don’t do training each time? maybe I don’t know how should I use it! I understand the script was meant to create this .png file, but it seems like it doesn’t for some reason and I can’t quite pin down what is the issue. Everything up to ‘10262_500_f00357_original_class.png’ exists, and I understand that 10262_500_f00357_original_class.png’ was meant to be created by the script. It seems like the script doesn’t save this image and I’m not sure why. Yeah, that did it! I realized you can only execute it from the furthermost folder. It fixed everything. Thanks! Thanks for this tutorial, it is really helpful. 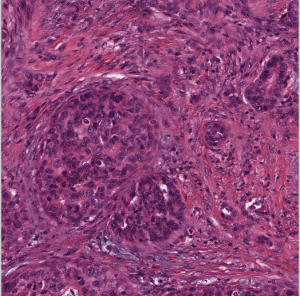 I have a question about overlapping nuclei in digital pathology images. Can you comment on this subject based on your experience? what are good methods? can we do deep learning directly to differentiate/quantify nuclei to one or more nuclei etc .. ? some references that you think are good are appreciated? I think it should be possible to easily use DL to be able to detect when nuclei has in fact overlapped (note: detection not segmentation), the real challenge is being able to get DL to actually separate the nuclei and provide their boundaries. While I think it has the capability of doing so, creating and annotating a dataset for training and measuring test results is quite laborious and in fact I don’t think one exists? In the end, deep learning becomes very easy to use when there is a sufficient datset, but finding/creating appropriate datasets seems to be the current bottlenecks. please help me how to change this file. i m using 5 fold. would you please give some information about the datasets? Thats a good question, i don’t know the answer to all of them off hand. IDC dataset is correct. Nuclei are from Upenn, lymphoma are from NIA and were introduced in their wnd-chrm paper. is there one in particular you’re interested in? actually, I am an MSc student and a researcher, I am interested in working with three of your datasets (Nuclei, Epithelium, Tubule). but when I was checking to use the nuclei dataset for segmentation, I found that just some parts of the nucleus are annotated! so how could we use it? is it the final nucleus dataset? thanks for helping and answering. We tried using our own images for segmentation after completed training with your models. Our images are also H&E stained pathology slides, however the contrast between nuclei and its background contents are much more clear in the TCGA-BRCA archive you’ve used. 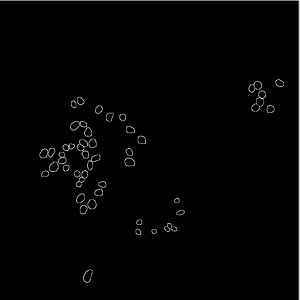 The nuclei in our slides are definitely visible, but our output only has 3-4 segmented nuclei. We would have to preprocess the image to work the models, however that kind of defeats the purpose. Have you encountered this issue? Would the only option be to train with our own slides? Do you have any more information regarding the specs of the scanned slides? 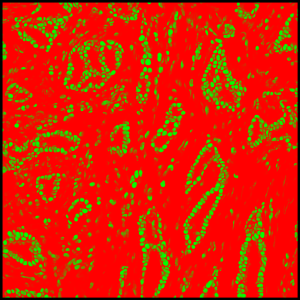 I see that the magnification is 40x from the dataset you’ve used, but do you also have the slide’s pixel resolution? Sir, you have used many functions in step 1. And the detail of those functions is not provided. I m not able to run the code of step 1 on my desktop. Also can I use CNN on same dataset.